Organization is a specialized engineering for the past 10 years. TSUS GROUP was established by holder of a master’s degree and doctor’s degree of faculty of engineering Chiang Mai University, Thailand. The beginning of our business was the innovation research labs of the faculty of teachers in University, in order to create the commercial products and worked with our professional engineering teams. Then they designed and set up the engineering “Turn Key” system that was emphasized to the renewable energy and continued the conservation of energy 13 years. There is all summarized information as follows. In 2001: TSUS Energy Consultant limited partnership was established and aimed at the developing research and create to the commercial products. And also producing, selling measuring instruments and lab-testing equipment for engineering. In 2014: Everexceed (Thailand) was set up. This company was the autorized distributor that provides batteries for the renewable energy industrial and telecommunication for Asean Economic Community (AEC). 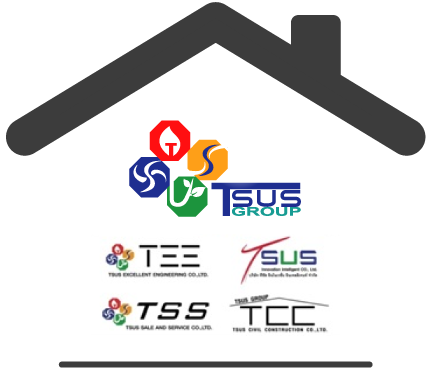 TSUS International Co. Ltd. was trusted and believed in the professional organization from the various of government and private organizations to represent and coordinate with the Department of Alternative Energy Development and Efficiency (DEDP) of Ministry of Energy for subsidy in projects about Renewable Energy and Energy preservation. For example, the installation promotion of solar power, solar hot water, solar dryer and wind power. They managed the installation and also the after-sale service. We also take part in the bidding of the engineering design and the installation for all government organizations with “Turn Key” project that was related to the testing instruments and engineering data observing. TEE is excellent engineering team. We manage consultants, engineering design, installation, maintenance, in Electrical Mechanical Energy and Environmental Engineering. Such as Solar Cell systems, heat pump, Steam Spa Sauna for house hotel and all industries. We create these innovations to conserve energy for commercial And supporting SME owners by use technology to save costs on production. To enhance for competitiveness on civilized country. The company is willing to consulting, research, design, building, construction, installation, maintenance energy innovation.